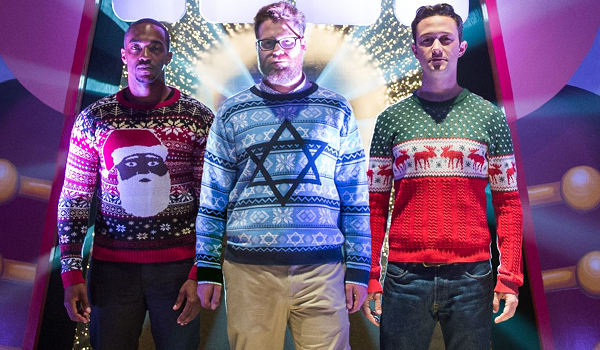 Seth Rogen looks to rebound after The Interview fiasco last year with The Night Before, a raunchy new holiday flick. This week BoxOffice takes a closer look at the film's prospects. - Reactions on Facebook and Twitter to the trailers are very encouraging. - The trio of Rogen, Joseph Gordon-Levitt and Anthony Mackie sounds like a winner to us. - The holiday film genre is full of overly sappy entries. We think the notion of an R-rated raunch fest will appeal to people who still watch Christmas Vacation religiously. - The amount of competition at this time of year won't be easy to overcome. - Not counting The Interview, Rogen has had his share of misses.